Syrian opposition groups say the city of Homs has come under the heaviest shelling in days, despite the president's pledge to engage in dialogue. 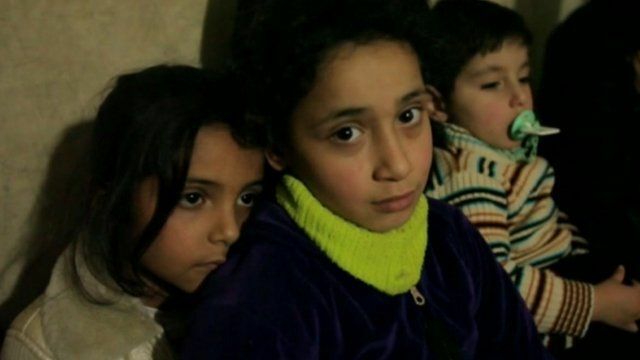 The BBC's Paul Wood has spent several days inside Homs, and he sent this report about conditions inside the besieged city. These pictures purport to show the city of Homs today, but have not been filmed by the BBC and so cannot be verified. Watch other reports from the BBC team inside Homs below. Paul Wood and cameraman Fred Scott report from inside the city as it comes under bombardment. The BBC's Paul Wood reports from inside Homs where he says rocket launchers were being used against the city. Eyewitnesses say a field clinic was hit and that most of the casualties have been civilians.